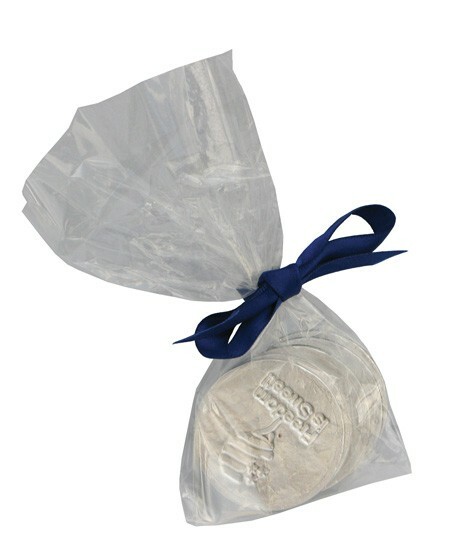 Clear cello bag filled with 5 delicious chocolate candy coins debossed with a custom or stock message and tied with the ribbon color of your choice. Imprinted label applied to bag. Includes up to 4 color process imprint.ed label applied to the cello bag. Available in: Milk chocolate only. Coins available in blue, red or gold.